Recently the Facebook “Like” button in the Flight Sharing dialog box stopped popping the comment box. It’s fixed now. 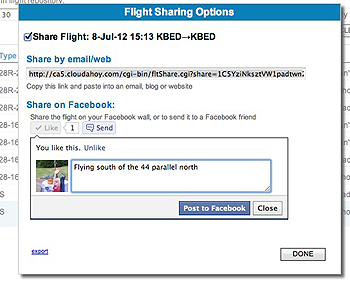 You can share your flights, fully annotated, on your Facebook wall. Plus you can send them to specific Facebook friends.